Some common new year’s resolutions are exercising more or trying a new activity, but did you know that improving your oral health should also be one of your priorities for 2017? Healthy teeth is the key to your overall well-being! A few small improvements could lead to great rewards. The first step to a healthier mouth is to have better brushing and flossing habits. If you’ve had your toothbrush for more than three or four months, replace it! Worn bristles don’t clean your teeth as well as a brand new toothbrush! Brush at least two times a day with a fluoride toothpaste for two minutes every day. This is the best way to avoid bad breath, cavities, and infection! Don’t forget to floss at least once a day to get rid of the bacteria and food particles stuck between your teeth. Another important part of maintaining your oral health is your diet. Avoid acidic and sugary drinks to prevent tooth decay! 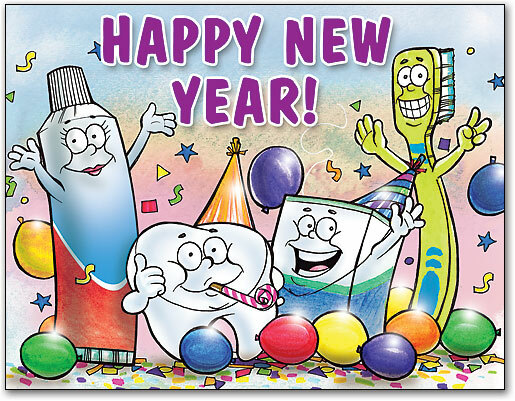 And last but not least, make sure to schedule regular appointments with your dentist! It’s important for your overall health! Get Whiter Teeth For Summer! A dazzling bright smile is all the catch nowadays. Especially now that it’s summer and there are many graduations, weddings, and fun events planned, why not show off a healthy white smile! Of course regular dental habits like brushing and flossing are ways to keep a brighter smile. However, if you feel like your smile doesn’t sparkle as much as you’d like, there are many products and whitening treatments available to achieve your smile goals. Tooth whitening is a simple process and a great option for individuals who have stained or discolored teeth. Teeth can become stained for many reasons, including tobacco use, certain medications, foods with dark dyes, and such as red wine, coffee, tea, and soda. Even the natural aging process can cause tooth discoloration. Philips Zoom is a safe, easy, quick, and pain-free way to whitening teeth and perfect your smile. This procedure can help make your teeth up to eight shades brighter in a short amount of time! Zoom includes a Chairside Light-Activated Gel and LED light to help accelerate and enhance the whitening process. Just three 15-minute applications of the gel and light occur in one hour, leaving you with a dazzling whiter smile. Your dentist can help you determine if Zoom whitening is the best whitening option for your individual smile. Contact us today for more information or to schedule an appointment for Philips Zoom whitening. Sinsational Smile® is a great way to whiten teeth because it uses fast and safe technology allowing for a comfortable whitening experience. This procedure lasts approximately 20 minutes and involves pre-filled trays and a LED light which helps quickly activate the gel’s whitening ingredients. Sinsational Smile® contains 35% of the active ingredient, Carbamide Peroxide, along with carbomer, menthol, glycerin, and mint flavor in the gel. The whitening experience is painless and the outcome is rewarding! Check out some of the testimonials here. There are many products sold for tooth whitening that can be done at home, but it is important to consult with a dental professional before use. Tray whitening involves using custom-made trays and whitening gel only available through your dentist. At-home professional tray whitening typically lasts from ten to 14 days. Paint-on whiteners are sold at convenient stores and are relatively inexpensive. This method consists of a gel that is applied to the tooth using a small brush. The gel hardens and eventually dissolves in the mouth. Teeth-whitening strip kits are a common home whitening procedure which includes thin, flexible plastic (polyethylene) strips that contain hydrogen peroxide on one side. The strips are typically worn for 30 minutes a day, twice a day but vary in duration depending on the brand. 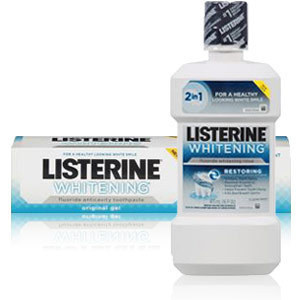 Several brands of whitening toothpastes and mouthwashes can be found at many drug stores and convenient stores and are typically the least expensive option. These toothpastes and mouthwashes help remove surface stains by using mild abrasives. However, these products only mildly lighten your teeth and are not as reliable as in-office whitening treatments. Brighten Your Smile For Prom Season! Is your high school prom coming up? Now’s the perfect time to dust off those pearly whites so you can strut into your prom with confidence and take the best pictures! A sparkling smile perfectly complements your beautiful outfit. Make prom memorable with professional whitening treatment! This pre-filled whitening tray with the addition of an LED accelerating light will whiten your teeth quickly and effectively. Philips Zoom! whitening is a safe, simple, and efficient way to brighten your smile. It consists of a gel (Zoom Chairside Light-Activated Gel) and a light (Whitening LED accelerator) that breaks down yellow teeth stains from cola, tea, coffee, etc. This peroxide bleaching gel, which is placed inside a whitening tray that blocks out saliva and other fluids for long lasting effects, forms hydrogen peroxide that decomposes into water, oxygen, and free radicals or byproducts that help whiten your teeth. Please visit our office or give us a call for more details on whitening treatment! We would be happy to answer any questions.